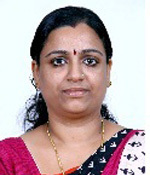 Kavitha C.R holds a MCA Degree from Bharathidasan University, MPhil from Madurai Kamaraj University and MBA from Indira Gandhi National Open University (IGNOU). 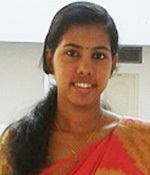 Currently she is pursuing PhD in Computer Science at Bharathiar University. She has 16 years of teaching experience. She handles both technical and management subjects for the students of MCA. Her interested areas in teaching are Data Mining, Machine Learning, Database Management Systems, Data Analytics and Software Engineering. She has organized many training programmes, Seminars and Workshops. She has numerous research publications to her credit. She has presented papers in both National and International Conferences. 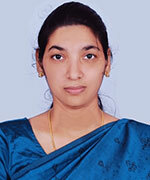 Ms.Deepa Joseph holds her Masters degree in Statistics with Fourth rank from M. G University. She has completed her Batchelor’s Degree in Mathematics from M G university. She has totally more than 8 years of experience in teaching. She worked as a guest faculty in Statistics Department at Newman College, Thodupuzha. She has more than 7 years of teaching experience in SNGIST and handled various papers in Mathematics and Statistics. She also handles aptitude training classes for the students in various departments. Ms. Soni P M holds a BCA from Mahathma Gandhi University and MCA from IGNOU. She is pursuing Ph.D at Bharathiyar University, Coimbatore. Area of research is Data Mining. She has published articles in International and National journals and has also attended Conferences, Seminars and Workshops. She is an academic counsellor for IGNOU Computer Application programmes. She has 20 years of teaching experience in handling Computer Science subjects. 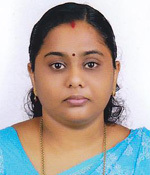 Ms.Sowmya K Mmenon holds mca from snr sons college, coimbatore under bharathiar university. 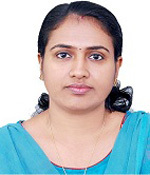 She is currently pursuing her research in computer science in the field of data mining at bharathiar university coimbatore.she has completed her bachelors degree in chemistry from mg univetsity kottayam.she has more than 10years of teaching experience.she has published articles in reputed national and international journals and has attended international conference also. 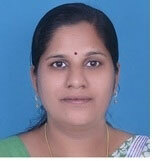 Ms.Prajesha T M holds MCA Degree from Calicut University. She has around 7 years of teaching experience. She has published papers in the area of networking and operating systems in international journals. She has Microsoft Technology Associate certification.She has attended different workshops and seminars. 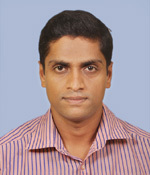 Soumya M holds MCA from Calicut University. 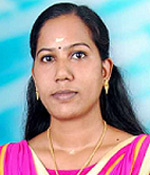 She has completed her bachelor’s degree in Computer Science from Bharathiar University. She worked as a faculty in Seva Sadan Central School, Pathiripala, Palakkad. She has more than 7.5 years experience in teaching. 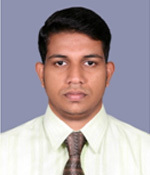 Mr.Rajesh B holds MCA from IGNOU. He has more than 6 years industrial experience and 5+ years of teaching experience. He is a Microsoft Certified Professional and Microsoft Technology Associate and also an Oracle Certified Trainee . He is a Certified Counselor. Ms. Dhanya P Varghese holds MCA from Bharathiar University,coimbatore.She has completed her bachelor’s Degree in electronics from MG University. She has more than 9 years of teaching experience in India and abroad.She has published papers in data mining in various international journals and has attended numerous Faculty Development Programmes, , Seminars and Workshops. Mrs. Rincy Jose holds a BTech in Computer Science and Engineering from NSS College of Engineering, Palakkad and an MTech from Rajagiri School of Engineering and Technology, MG University. She has qualified GATE in CSE. She handles Computer Security, Linux, Mobile Computing and Android lab. She has 4 international publications and 1 national publications to her credit in peer reviewed standard Journals. 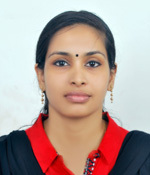 Geetha Bhatt A holds MCA from MG University(SCMS, Karukutty) .She has completed her bachelor’s Degree in Physics from Maharaja’s college,Ernakulam.She was Senior Software Engineer at IGate Global Solutions,Bangalore for 4 years.She has more than 2 years experience in teaching. She is a member of placement team of SNGIST and has been active in the field of training students in Aptitude. 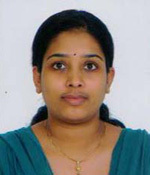 Ms. Anjaly Muralidharan holds an M-Tech in Computer Science and Information System from SCMS school of Engineering and Technology. 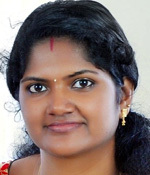 She has completed her bachelor’s Degree in computer science from Viswajyothi college. She has more than two years of teaching experience and handles many papers in computer science. She brings with her 8 months of experience of managing leading corporate entity Lapiz Solutions and has been active in the field of training students in Soft Skills .She has published articles in reputed National and International journals and has attended numerous Faculty Development Programmes, Conferences, Seminars and Workshops. 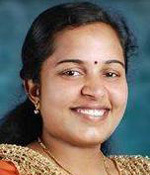 Aswathi M R is an MCA holder from MG University.She has completed her bachelor’s Degree in Computer Science from UC College, Aluva. 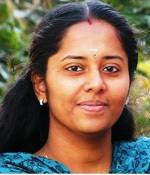 She worked as a faculty in College of Applied Science(IHRD), Puthenvelikkara. She has more than 4 years experience in teaching.She is a member of placement team of SNGIST. She is a certified trainer of Oracle. 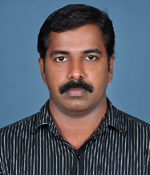 Reashma Raj P.R persues MCA from Madurai Kamaraj University(NMSSVN College,Madurai). 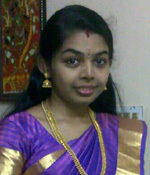 She has completed her bachelor’s Degree in Computer Science from VVV college,Virudhunagar. She worked as a faculty in Noble Matriculation School, Virudhunagar and Little Hearts school, N.Paravur. She has more than 3.5 years experience in teaching.She is a member of placement team of SNGIST. 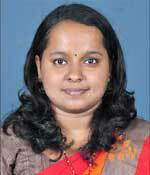 Ms Remya Anand holds MCA from U C College,Aluva under M G Univesity. She holds Bachelor degree in Physics from U C College, Aluva under M G Univesity. She has 7 years of Industry Experience.She was working with UST Global for 1.3 years and with IBM for 5.7 years. She has 2 years of Teaching Experience with SNGIST.